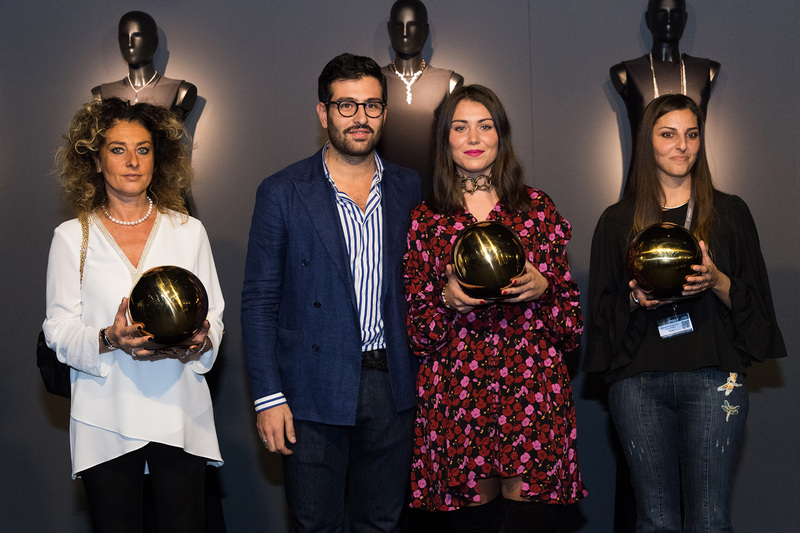 #CREATEYOURLOVE: “SPIRAL CONNECTION” Quadrifoglio's necklan awarded at Gold Italy 2017 | Quadrifoglio S.p.a.
#CreateYourLove, the gold and jewellery contest organized by Gold Italy 2017, the exhibition held by Italian Exhibition Group, at its 5th edition, is successfully ended. A special moment for the most glamourous event of the exhibition which celebrates the excellences of the “Made in Italy” in the jewellery, gold and silver sector, inspired by this edition’s fil rouge and concept: the circle. 27 were the companies, from all over Italy, who took part at the contest #CreateYourLove, challenging one another on the theme of the circle, a key element of the “sinacoles”, necklaces made of deep gold spheres, used by mothers and nursemaids already in the VII Century to enchant children with their sounds and shapes. The designers of the exhibiting companies were asked to create a necklace that could represent a feeling about love and infinite, referring to the concept of “timeless” and “forever”. With #CreateYourLove, Gold Italy wanted to draw the attention on highly emotional jewels, inspired to the circle that, thanks to its greatly symbolic perfection, evokes the concept of absolute and infinite. #CreateYourLove presented to the international audience of experts, of the national and international media, exclusive creations in an “ad hoc” setting that represented the “great Italian beauty”. Fashion and design necklaces, and also items of high jewellery, were freely created to follow the personality of the woman who wears them. An exceptional jury, made of journalists, designers, trend setters, fashion world and fashion style specialists, chaired by Beppe Angiolini, Art Director of Gold Italy and honorary president of “Camera Nazionale Buyer Moda”, chose the most original creations, and therefore the contest winning jewel and the winners of the different prize categories.